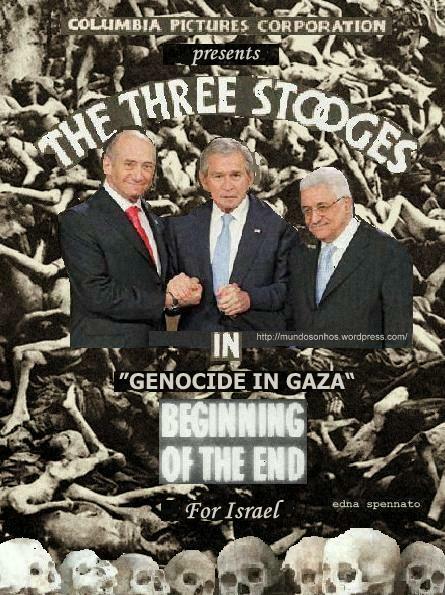 The 3 Stooges in ‘Genocide in Gaza’ Edna Spennato 2009. Photomontage made on 25 Jan 2009. Death squads supplied by “Moe” Olmert, currently a perpetual prisoner inside Israel Occupied Palestine, living in fear of the coming War Crimes Tribunal. Unconventional weaponry supplied by “Larry” Bush as one final act of mass murder before retiring to his ranch in Paraguay, from where he believes he cannot be extradited to face charges for crimes against humanity. Access to a caged civilian population supplied by “Curley” Abbas Mazen, who avoided the recent Middle Eastern summit for fear that “they will cut my throat”, and the proud owner of the only house still left standing in Gaza. 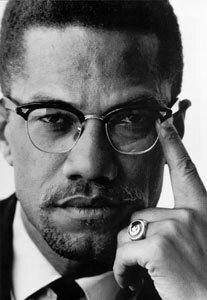 Published at these links: WUFYS, Uprooted Palestinians.